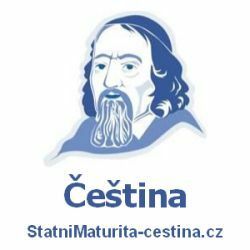 Které nejčastější otázky pokládají zkoušející u ústní zkoušky z angličtiny na téma Praha a jak na ně odpovídat tak, abyste získali vynikající hodnocení. Připravili jsme seznam nejvíce frekventovaných otázek hodnotitelů pro maturitní okruh Ireland a vzory odpovědí na jedničku. Tak si je vyzkoušejte nanečisto v klidu a teple svého domova na mobilu či počítači. 1. Where is Prague situated? Tell me about it. Prague is the capital of the Czech Republic. It is located in the north-west of the country. It is also called the heart of Europe, Mother of Cities, or The City of a Hundred Spires. 2. What is the geography of Prague? Tell me about it. Prague is situated in the centre of Bohemia. The Vltava river runs through the city. Prague can be divided into four sections: Hradčany, Lesser Town, Old Town, and New Town. 3. Why is Prague important for the Czech Republic? Tell me about it. Prague is important for the Czech Republic because it is its capital. It is a political, cultural, academic and economic centre. Prague is the seat of the Czech president, parliament and government; and also a seat of many state and international institutions. 4. Which Prague boroughs are the most famous? Why? Old Town is probably the most famous borough. It is the geographical centre of Prague and most of the tourist attractions are located there (e.g. Charles Bridge, Old Town Square, Wenceslas Square). Another famous borough is the Lesser Town. It is situated across the Charles Bridge from the Old Town. It is famous for Lesser Town Square, Petřín Tower, or Lennon Wall. And lastly, Hradčany. This borough is known for the Prague Castle and St. Vitus Cathedral. 5. Is Prague an interesting place to visit for tourists? Why? / Why not? Yes, Prague is definitely an interesting place for tourists. According to the Guinness Book of Records, it is the largest castle complex in the whole world. Prague’s architecture is also very remarkable, most of the historical buildings remain untouched, therefore baroque, gothic and renaissance buildings can all be found there. Prague is also one of the cheapest capitals in Europe, which is pleasant for tourists. 6. Which are the Prague landmarks? Why? 7. Is the history of Prague interesting? Tell me about it. Prague has a very rich history. It was founded in the 9th century, becoming a seat of the king of Bohemia. Thanks to the reign of the king Charles IV, the city flourished and was the third largest European city. The 19th century was another great age, Czech nationalism grew, the National Museum was built, and the Industrial Revolution reached Prague. In 1918, Prague became the capital of Czechoslovakia. In 1939, Prague was captured by the Nazis. During the WWII, most of the Prague remained untouched, but 3/4 of the Jewish population did not return from the concentration camps. In 1948, the Communists took control of the country, ending in 1989. In 1993, the country split in two and Prague became the capital of the Czech Republic. 8. Which buildings were build during the reign of the king Charles IV? There were many buildings built during the reign of Charles IV. For example the Karlštejn Castle, where the Czech Crown Jewels were kept. Then also the Charles Bridge, Charles University, Charles Square, and a city, called Karlovy Vary. A village in Italy, Montecarlo, was founded by Charles IV. as well. 9. Where would you take a tourist to visit art or historical exhibitions? Why there? There are plenty of museums and galleries in Prague. To see art, the best place to visit is the National Gallery, which has the largest collection of art in the Czech Republic. Also, Museum Kampa, Veletržní Palace, Lobkowicz Palace, and Kinsky Palace are worth the visit. Historical exhibitions can be seen in the National Museum. In Lapidarium, people can see the largest collection of stone sculptures in the Czech Republic. Other museums to visit are for example the Jewish Museum or the National Technical Museum. 10. What is the best way of travelling in Prague? Why? The best way to travel through Prague is probably the metro. It connects the whole city and it is an easy way how to get somewhere fast. However, if you don’t want to travel underground and enjoy the scenery of Prague, you can take a tram. It is a little bit slower method of travelling, but it is cheap and you can get anywhere in Prague. 11. What are all possible means of transport in Prague? Tell me about it. Most of the people in Prague use metro, trams or buses. Thanks to the metro, you can travel long distances in a short amount of time. If you don’t like the public transportation, you can drive a car or get a taxi. However, the traffic situation in the city centre is pretty bad, and it is always hard to find a place where to park, so it is not really recommended. 12. Is travelling in Prague cheap or expensive? Why? / Why not? Travelling in Prague is considered to be cheap, comparing to other European capitals. A ticket for public transportation (metro, trams, buses) cost only 24 CZK for 60 minutes, and 32 CZK for 90 minutes. 13. How can you get to Prague from abroad? Tell me about it. The largest Czech airport, called Václav Havel Airport, is located only 15 km from the centre of Prague. Flying is the easiest option for travelling to Prague. If you are from Europe and want to visit Prague, you can also take a train or a bus. It is a cheap way of travelling, but it is not as comfortable and fast as flying. 14. Where would you take a tourist to see a good theatre play? Why? Prague offers more than 40 theaters. The most famous one is, of course, the National Theatre. A national monument from the 19th century consists of three art ensembles: opera, drama, and ballet. Other smaller theaters that are popular: National Black Light Theatre, Archa Theatre, Divadlo na Vinohradech, or Divadlo na Zabradli. 15. Where would you take a tourist to enjoy the Prague nightlife? Why? Since the beer is cheaper than water in Prague, the nightlife is definitely worth your time. There is everything from fancy clubs, pubs where you can pour your own beer, to crazy dance clubs. Some of the most famous clubs and bars are Lucerna Music Bar, Roxy, Karlovy Lazne, or James Dean. The best thing is that they are located in the city centre. 16. Which Prague sports clubs are the most famous? Why? People in Prague, and in the Czech Republic, in general, can be divided into two parts: football fans and hockey fans. When it comes to football, most of the people like either AC Sparta or SK Slavia. Sparta has won the central Europe cup three times and the Czech Cup 27 times. Slavia is the second most successful club. From hockey, the most famous club is HC Sparta. They have won the Czech championship four times. 17. Which places would you not recommend to visit in Prague? Why? Prague is not considered to be a dangerous city. What everyone should be aware of are the pickpockets. Since there are so many tourists, it is easy for the pickpockets to steal something from you, without even noticing. However, some places you should avoid are Smíchov and the Southern Town, mostly during the night. These two places have had the most committed crimes. 18. What is the best time of the year for coming to Prague? Why? The best time to visit Prague is either from April to May, or from September to October. It is not too hot, not too cold, and it also not as overcrowded as it is during the summer months. 19. Are there any dangers in Prague which a tourist should be prepared for? Why? / Why not? The most common danger in Prague is pickpocketing. They are professionals, so you should always watch your stuff. Tourists should also be aware when they are exchanging their money. In the city centre, they can charge up to 10% for “administrative fees”, so it is always safer to use ATMs. 20. Is Prague a multicultural/multinational city? Tell me about it. Prague is definitely a multicultural city. More than 165,000 foreigners reside in Prague. Most of them are Ukrainians, Slovaks, Russians, and Vietnamese. But every year, thousands of students from all around the world come to Prague to study. 1. What is your favourite location in Prague? Why? I personally enjoy the places that are not overcrowded with tourists. For example the parks, such as Parukářka, Stromovka, or Letná. Also, Náplavka in the summer is my favourite! 2. Do you like Charles Bridge? Why? / Why not? I do! I think it is a perfect symbol of Prague and it is pictured in most of the postcards. It has a great history and I even like the legends about Charles Bridge, like the one that says that if you touch the gold part on the statue of St. John of Nepomuk with your right hand, it will bring you luck and ensure your return to Prague. 3. Do you like the Prague panorama? Why? / Why not? I actually love the Prague panorama. It is so unique and you can’t mistake it for a different city when you see it. There is no wonder that Prague is called “the city of hundred spires” and that everybody remembers the red roofs- those are the characteristic features of Prague. 4. Have you ever thought of going on a boat trip over the Vltava river? Why? / Why not? I have never thought about doing that because I’ve always felt it was mostly for tourists. But then I got it as a present for my 15th birthday and it was actually really pretty. I was used to seeing Prague panorama with the river, but now I could see Prague from a different perspective. I would recommend it to everyone. 5. Do you think it is easy to get lost in Prague? Why? / Why not? I think it is pretty easy to get lost in Prague because there are many narrow streets. But also Prague is pretty small, so you would probably get lost only for a little while. 6. Do you think Prague has a good connection with other big cities in the Czech Republic? Tell me about it. Yes, I think it is super easy to get to different cities in the Czech Republic. There are buses that are going to pretty much all of the bigger cities and it is very affordable. There are also highways connecting bigger cities. 7. Do you think the Czech Republic is a „Prague centered“ country? Why? / Why not? To be honest, I think it is. When you are abroad and you say that you are from the Czech Republic, most of the people will think of Prague. They don’t know any other cities, sometimes they know Brno, but that’s it. Most of the national historical sights can be seen in Prague, that’s why the tourists usually spend time only there. 8. Why do you think tourists from abroad come to Prague? Tell me about it. There are several different reasons why to come to Prague. But I think most of the tourists want to see the mix of architectural styles that can be found there, and also because of the historical landmarks. Prague is a small city, but it has a lot to offer. 9. Would you like to study/work/live in Prague one day? Why? / Why not? Yes, I would like to study there and also live there, while studying. Most of the Czech best universities are located in Prague. I would also like to try living there, at least for a little bit. But not forever, because I don’t like crowded cities, which Prague definitely is. 10. In your opinion, is Prague a good place for running a business? Why? / Why not? I guess it depends on what kind of business are we talking about. If you want to open a café or a restaurant, I don’t think it would be a good idea. There are already hundreds of cafés and restaurants in Prague, so it would be hard to come up with something unique. 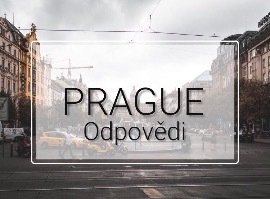 But if you would run a big company, Prague would be a great place for the headquarters, because it is in the heart of Europe, therefore it would be easy to make connections with other European cities. Příspěvek byl publikován v rubrice Praha se štítky Prague a jeho autorem je NovýAmos.cz. Můžete si jeho odkaz uložit mezi své oblíbené záložky nebo ho sdílet s přáteli.